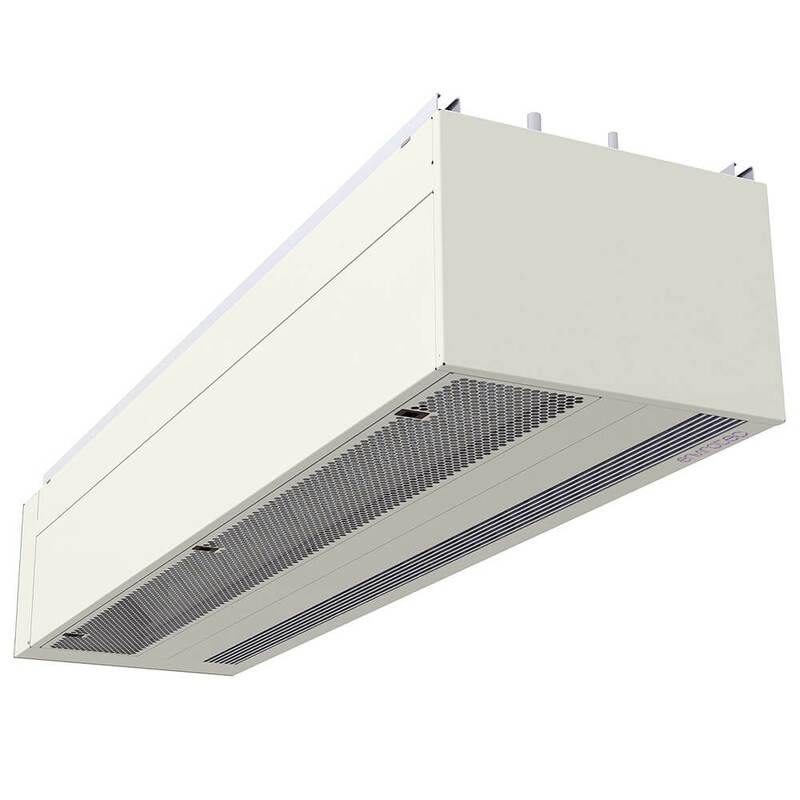 The UNI Type B Heat Pump Air Curtain is designed for on-view applications. Return air enters the Universal Type B either through the rear, or the underside of the unit via a variable position grille.The grille position should be specified at the time of placing an order. Supply air is via a fixed linear grille. Controls are mounted in an enclosure on the end of the air curtain. We recommend leaving 500mm clearance in front of this panel for access.